Kavita is the principal attorney at Sharma Law Group and has been practicing for 12 years focusing on litigation of property disputes including landlord/tenant, co-ownership disagreements, partition actions, fair housing/discrimination, easement/boundary cases, buyer-seller (non-disclosure) disputes, nuisance, commercial leasing and HOA litigation. Kavita handles every aspect of litigation from serving pre-litigation notices, filing complaints, depositions, settlement conferences, to arbitrations or trials. Kavita uses her extensive litigation experience, understanding of damages and insurance issues to settle cases early so that her clients do not have to face lengthy litigation and expensive trials. 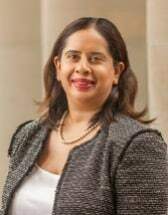 Kavita has spoken on numerous MCLE programs including most recently “Insurance Coverage Issue in Real Property Cases” at the 2016 Annual Meeting of the State Bar and earlier this year at the “2017 Annual Landlord/Tenant Update” for the Bar Association of San Francisco. She has also given landlord/tenant seminars to brokers, property managers and owners. From 2013-2015, Kavita served as an update author for the CEB California Landlord-Tenant Practice Guide. Kavita is currently a member of the Executive Committee of the Real Property Section of the San Francisco Bar Association. From 2013-2016 she served as an Executive Committee member for the Real Property Law Section of the California State Bar.